Today (March 22), Kim Kardashian-West put out a series of tweets announcing a cause that Kanye is bringing awareness to! The cause is mental illness and the rapper/designer is teaming up with Adidas and with families across the country to create homemade pop-up YEEZY Lemonade Stands. The stands will be stocked with limited pairs of the unreleased YEEZY Boost 700 V2 “Geode,” according to Kim. All proceeds from these pop-up stands will be donated to the National Alliance on Mental Illness, which is “the nation’s largest grassroots mental health organization dedicated to building better lives for the millions of Americans affected by mental illness,” as Kim posted via Twitter. Additionally, this campaign is shedding light on the importance of bringing people and families together by connecting them through an event such as this. 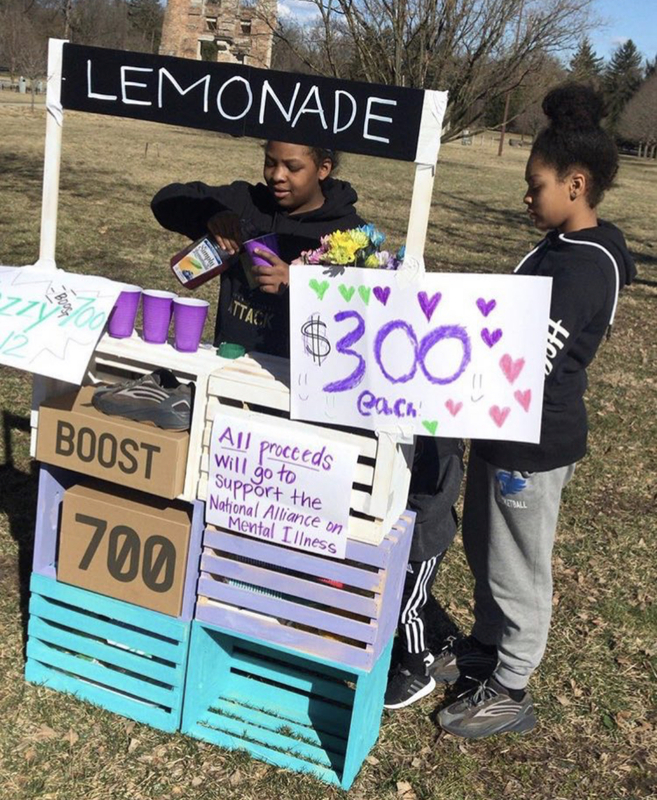 The lemonade stands are limited in locations, but so far there are pop-ups in Indianapolis, IN; Missouri, TX; Waterloo, IA; Minneapolis, MN; Alton, IL; West Chester, OH; Belle Fourche, SD and Cedar Rapids, IA.